Hey there, I'm Britt and I'm a wedding photographer who serves South Carolina, Georgia, and occasionally beyond! Over the years, I've become focused on two things that (I hope) set me apart. They are 1) my belief in real, imperfect moments (don't get me wrong, I love the pretty too - but just always connect with candid, organic moments the most!) and 2) archival, heirloom quality albums and products. I focus on quality over quantity, and currently photograph only 10-12 weddings per year. About 60% of my couples end up purchasing an album, but it's taken quite some time to reach even that number as there is definitely a learning curve to educating couples on the value of the printed product in todays digital age. Of course I'd love to see 100% walk away with an album, but that's a work in progress! I'd say the greatest pushback I get about albums is regarding the cost, and to be honest I've struggled with that over the years too. 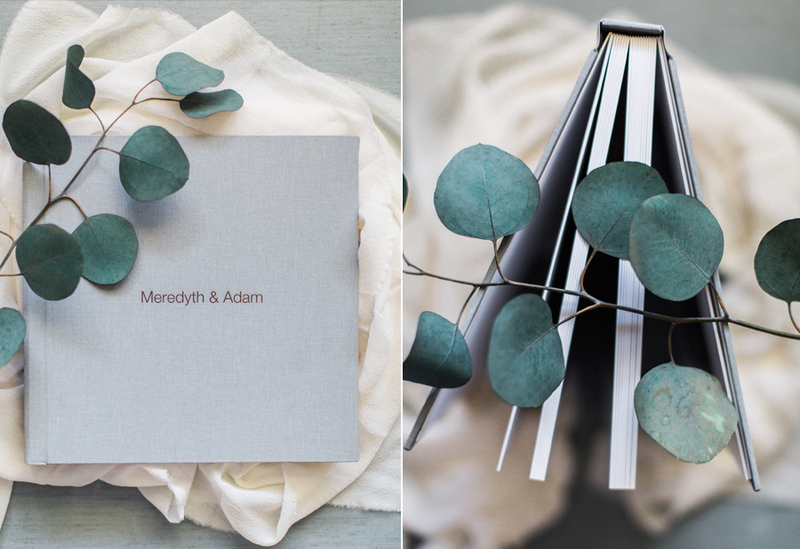 But I've been printing through Madera Books for around 6 years and just can't bring myself to make a change since I'm continually impressed with their quality, craftsmanship, attention to detail, and speed for handmade albums. I've found that those couples who see the albums in person truly appreciate and understand the quality, but unfortunately I serve such a wide geographic area that I'm not meeting many of my clients before booking. The way that I have best found to navigate that barrier is to talk about albums, share photos of albums, converse about albums when we chat over the phone, share stories about how precious my albums are, etc. 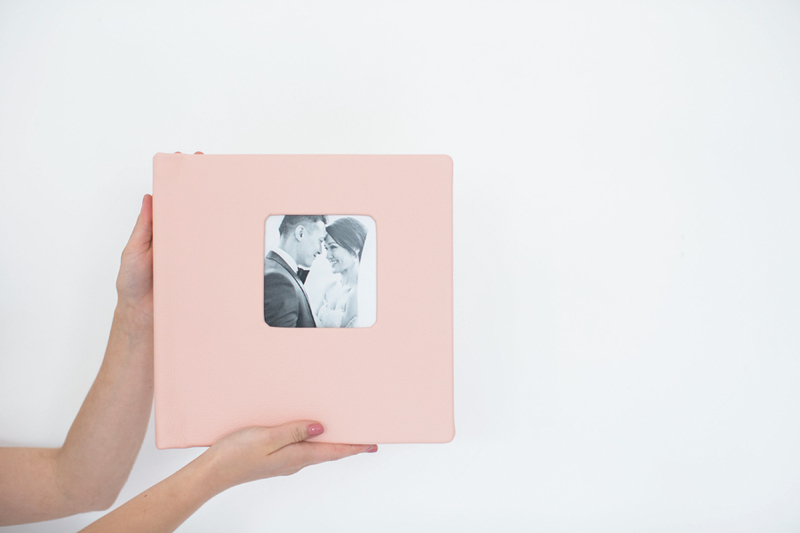 I truly believe in my core that each couple needs a wedding album so this is something that feels natural and comfortable for me to share about. I've been working with Align Album Design for about 3 years now, and since becoming an Align customer it has truly taken the album process to the next level for my clients. It's fast, streamlined, and more than anything...it frees me up to do things that I enjoy so much more. If I was still doing album design and revisions for my clients, I could guarantee that it would be the #1 to-do item that repeatedly got rolled over to my to-do list for the next day, and the day after, so on and so on. It's hard to encourage your clients to stay on top of their revisions if YOU can't stay on top of their revisions, so having Align take the brunt of the work off my shoulders is how I justify the additional cost. Ultimately, it's freeing up my time to move the needle forward in areas that only I can, and that's beneficial to me, my clients, and my business as a whole. One of my absolute favorite perks of Align is their ability to pre-design with the 200-300 images I send them. 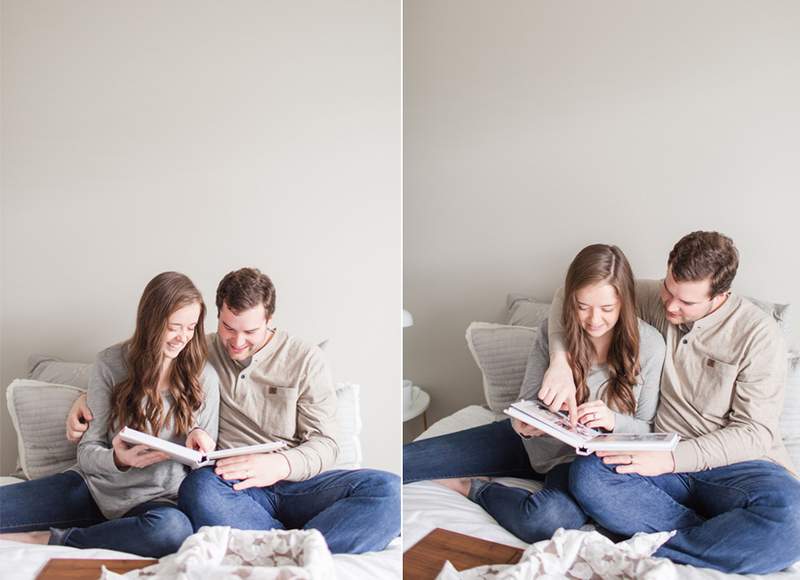 When I explain to my couples that I don't feel it's their job to sift through 800 images that they are SO VERY attached to in order to narrow down their favorites, I can tell they are so relieved. Instead, I send Align my Favorites folder from the clients wedding gallery, and they do the hard work of getting us a starting point! This means the first time my client is seeing their album, it's a full blown 20-spread story, and they are simply tasked with making swaps, adding, or removing. This feels so much more manageable and digestible to them. I always, always tell them that I'm here to help as much as they need, and I think that it helps them realize that I am in their corner and happy to be a sounding board when decision fatigue hits. 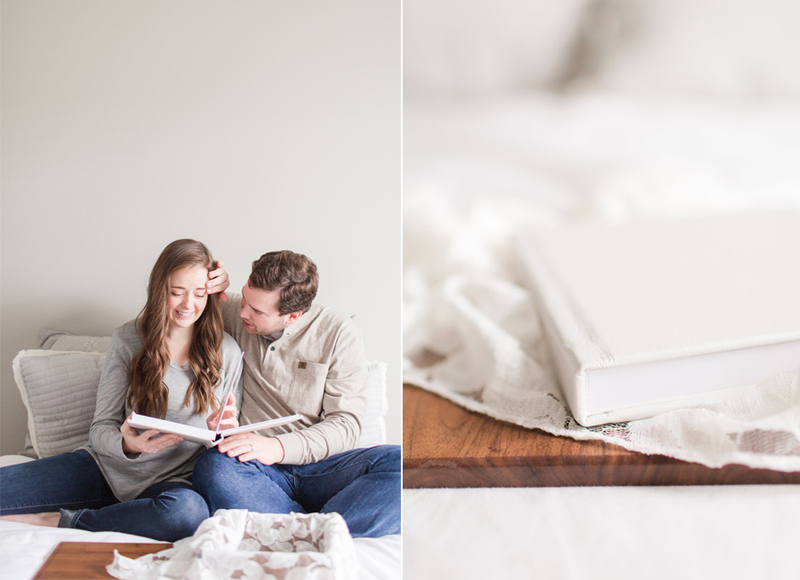 For newer photographers looking to encourage their couples to invest in an album, I'd say to start small. 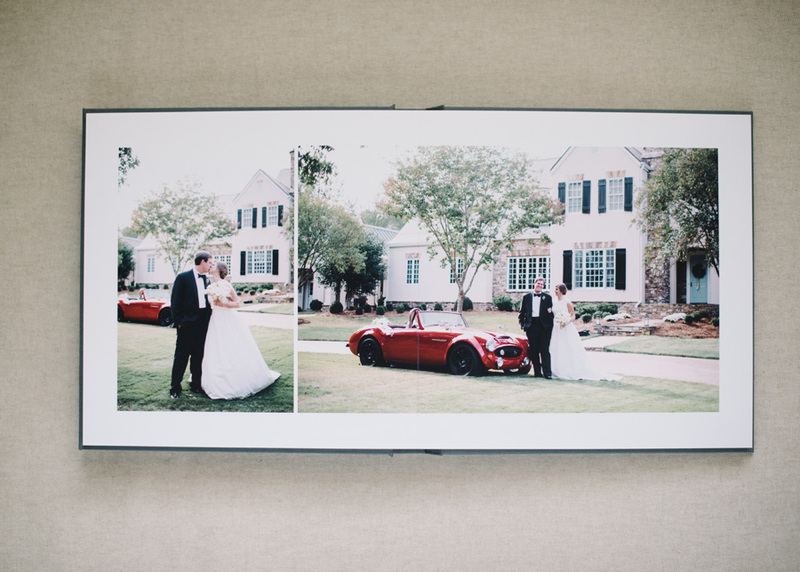 WHCC has been my go-to print lab from the very beginning for many other products (and where I first printed albums from) and I still use their press printed albums for guestbooks and portrait session albums. Their albums would be a great place to start that is a bit more affordable as you build up the hype over what I hope could become your #1 product. 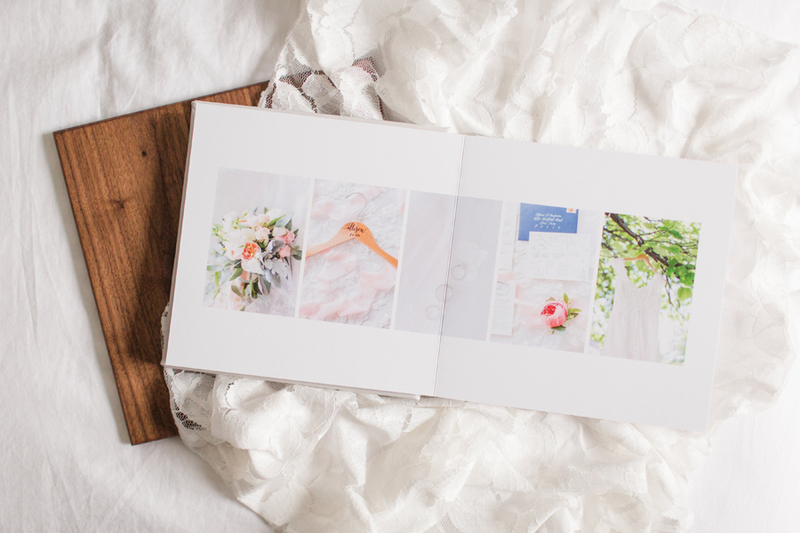 Order a sample album (one complete wedding), photograph it for social media and your website, and carry it with you to client meetings, engagement sessions, bridal sessions, etc. The more opportunities your couples have to see, touch, feel, and learn about them, the better! All this to say, offering my clients albums has become a huge part of my business and is something I truly believe in. 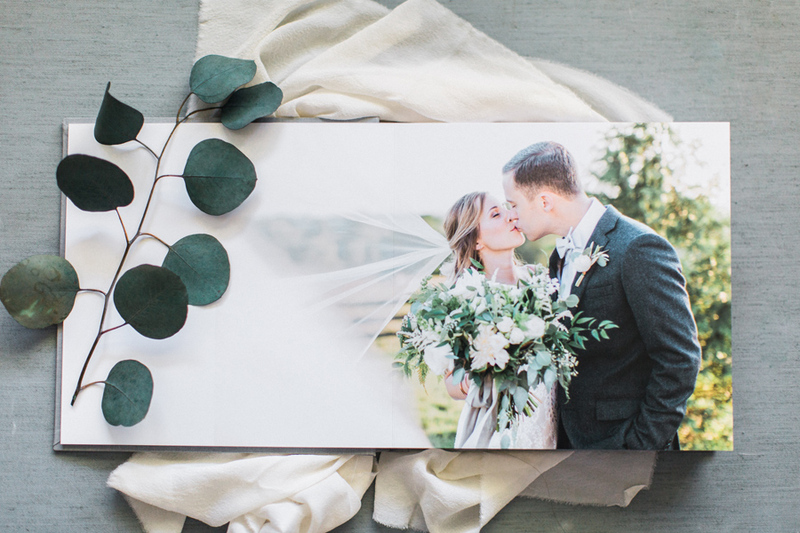 I really think that's the most important part...you have to believe in the power of the printed image, show the meaning, show how the design process is a wonderful added service, and educate your couples on how an album will add value to their life together. I hope other photographers will find my album journey helpful! 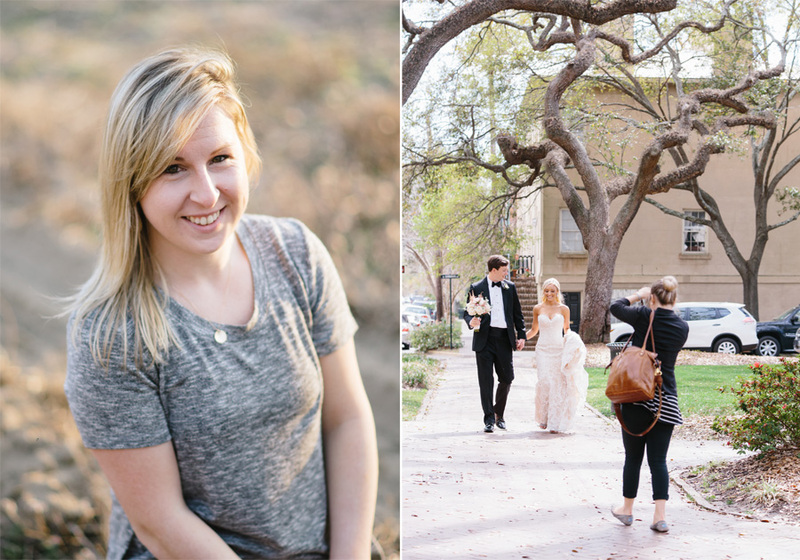 Thanks SO MUCH to Britt for sharing all of this helpful advice with fellow photographers! What great insight on album creation and sales! Today we get the JOY of sharing images and some thoughts by Elizabeth Gelineau, a sweet and talented photographer and Align client. We recently asked Elizabeth if she would be willing to share some insight into her album process and we absolutely loved the story she responded with! 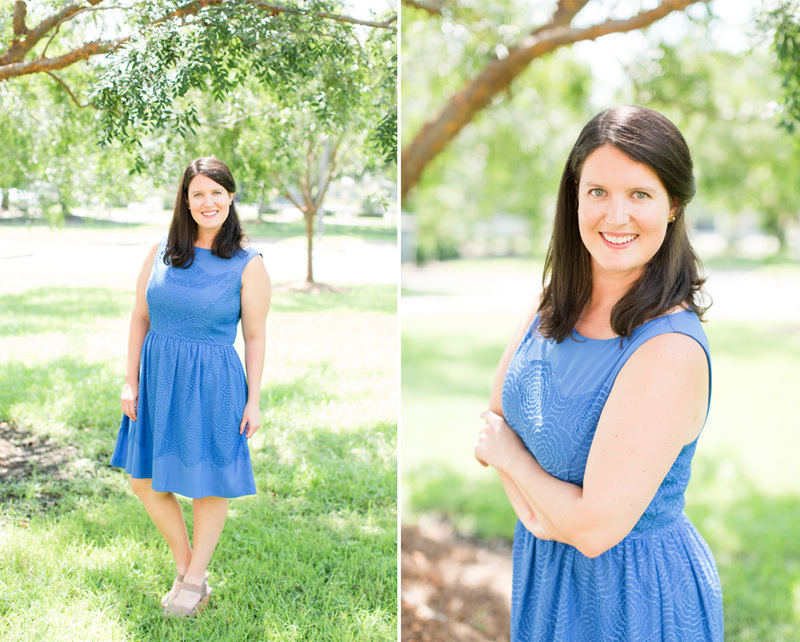 I'm Elizabeth, a portrait, wedding and editorial photographer, based in my hometown of Mobile, Alabama. Even before I was a wedding photographer, I was a big fan of albums. I love the feel of something in my hands that is really well made. I like things that are made to last. I believe photographs are best enjoyed in printed form. 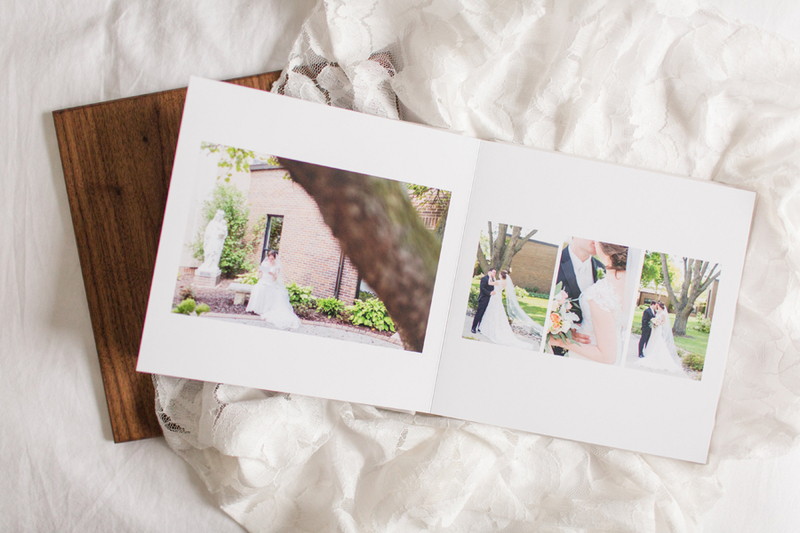 I started my business in 2012, intending to never photograph a wedding. My focus was on portraits, specifically families and high school seniors. I offered albums in my product menu from day one. But in those early days, even though I wanted my clients to have nice albums, I dreaded the process of dealing with an album sale. The whole design and proofing process was overwhelming. My photography business started out as a second job and the album proofing process took time that I didn't have. Unsurprisingly, I was not successful at selling packages with albums during that time. Then I discovered Align. I had a portrait client that wanted to order an album and I decided this was the perfect opportunity to test out the service. I was absolutely blown away when the client approved the album after seeing the initial design, with no requests for revisions. The process was SO simple, even enjoyable! Align put together a design so much quicker than I ever could! I loved the end result and my client loved how easy the process was! 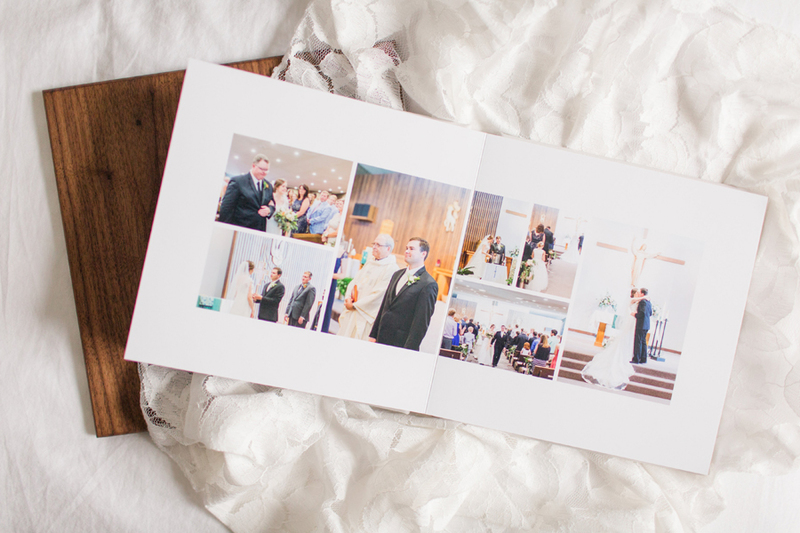 When I later transitioned into photographing weddings, I knew I wanted to include albums in my packages. I also knew that I needed a streamlined process. Because of my prior experience with Align, I decided to outsource album design to them for all of my weddings from that first season of booking. 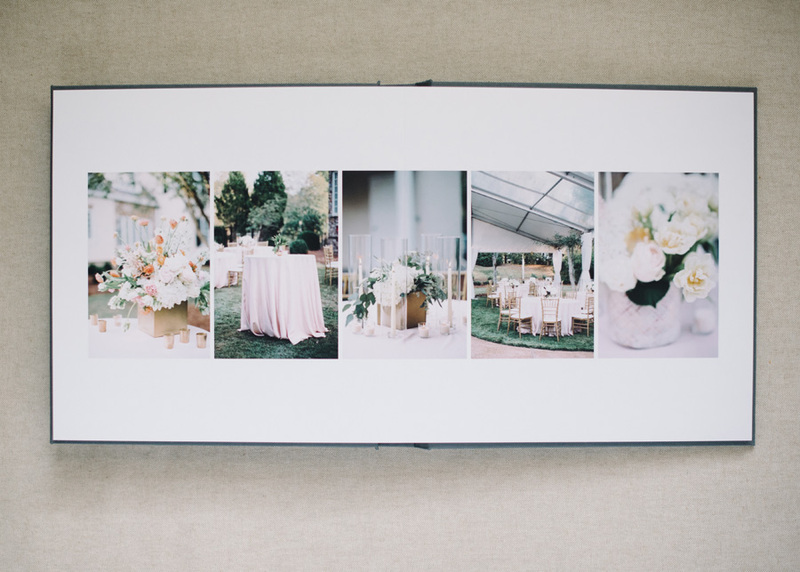 Align had so many helpful blog posts that aided me in creating a workflow for my client albums. I set up that workflow in 17Hats for every client that purchases an album. 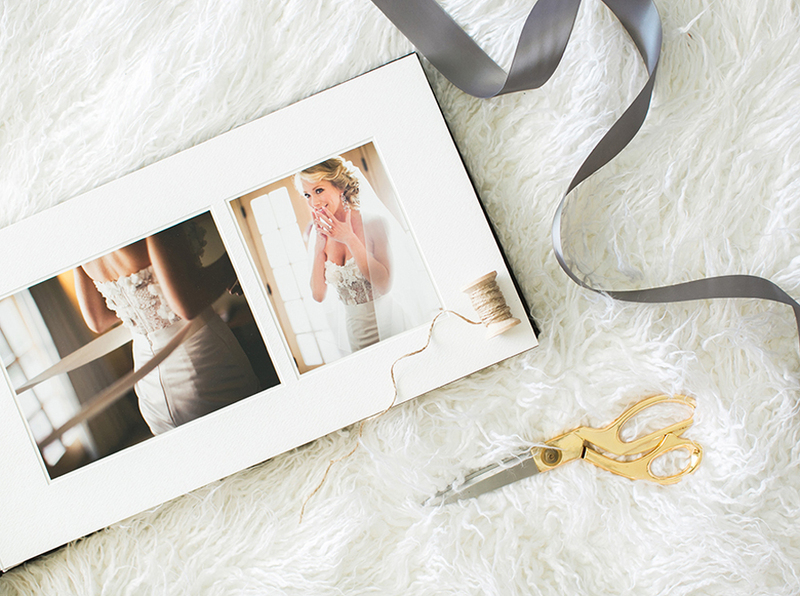 The album workflow is activated two weeks after the client receives their wedding gallery. 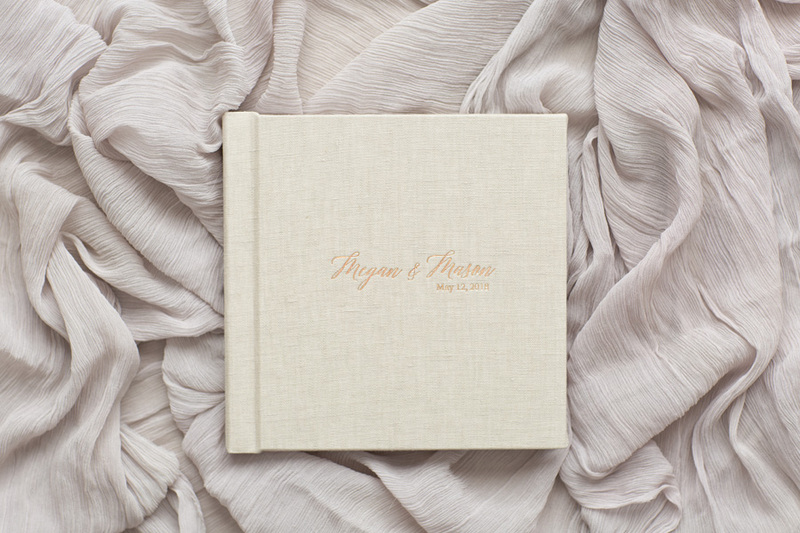 It begins with a design preferences questionnaire that I created and it is my goal to have the wedding album in my client's hands within four to six months of the wedding date. My favorite part of working with Align is that I ENJOY the album process. I get so excited to see that initial proof and so do my clients! I have always picked out the initial album images myself because I think that is a great service to provide to my clients. 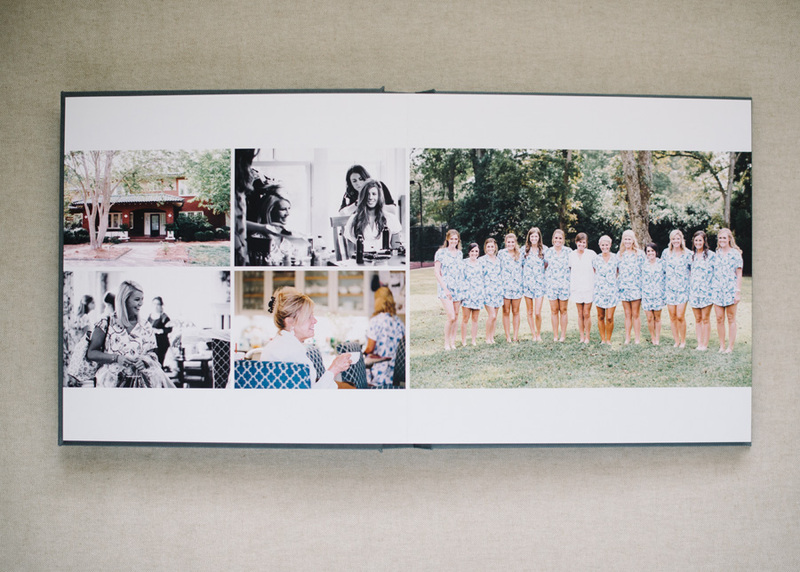 It can be overwhelming for them to go through 800 to 1000 images to select favorites for printing in the album. As the artist, I know I documented certain details and moments of the day with the broader story of the wedding day in mind. It is much easier for me to select 100 to 200 images that best represent the story of the day and send them to Align than it is for my clients to make decisions about their favorites. 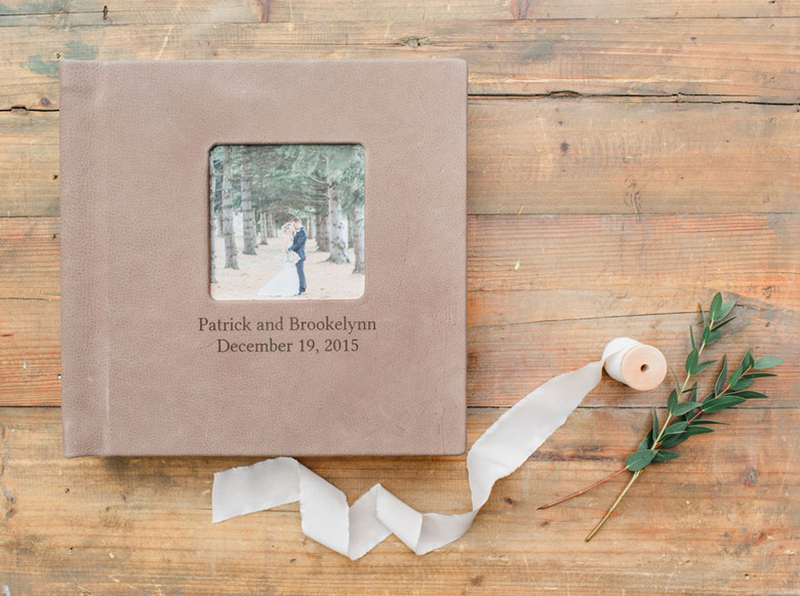 To me, the wedding album is the bow on top of the package. It is the perfect ending to the wedding photography experience that I provide to my clients. 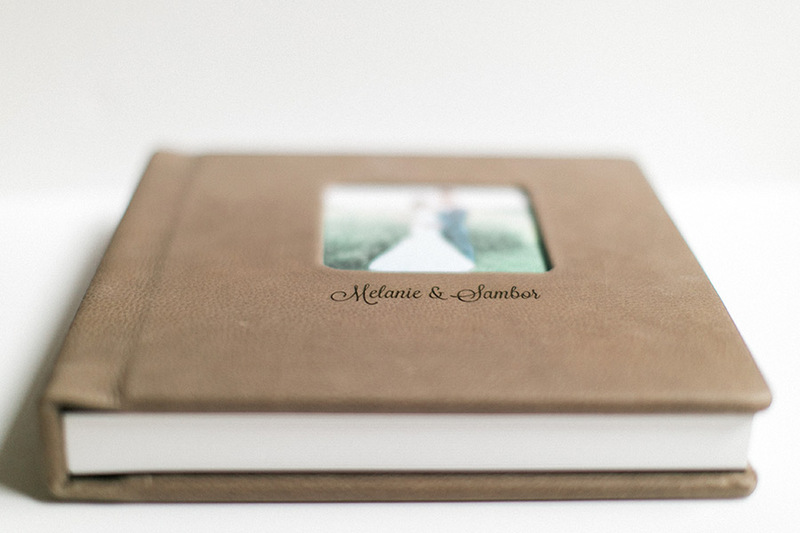 I photograph between 20 and 24 weddings per year and over half of those brides choose a package with a wedding album. It's something that I talk about in the initial consultation because I so strongly believe in the importance of having that first heirloom. Thanks to Align, I don't have to worry about having enough time to fill those album orders! Thanks so much for sharing your story, Elizabeth! We love that Align can be a part of your streamlined process! We know your fellow photographers will find your insight and album experience helpful as they craft their own album workflows! 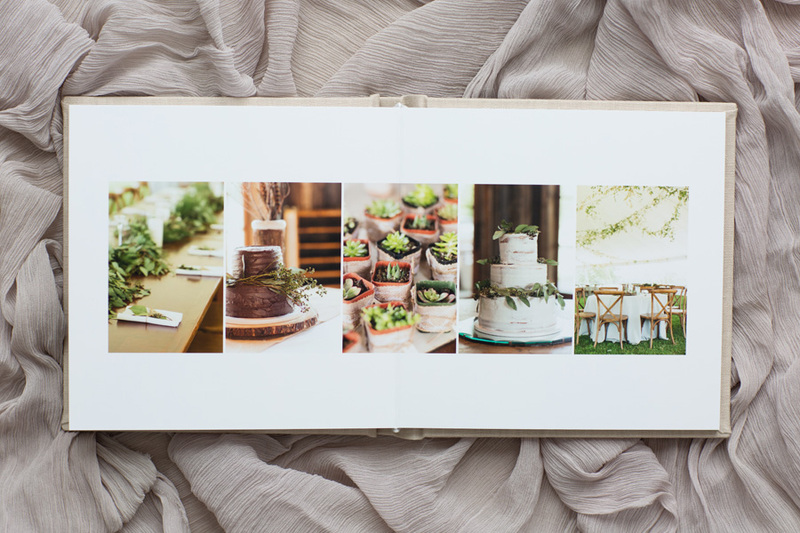 The following are Elizabeth's photographs of one of her recent albums designed by Align and printed through Red Tree Albums. 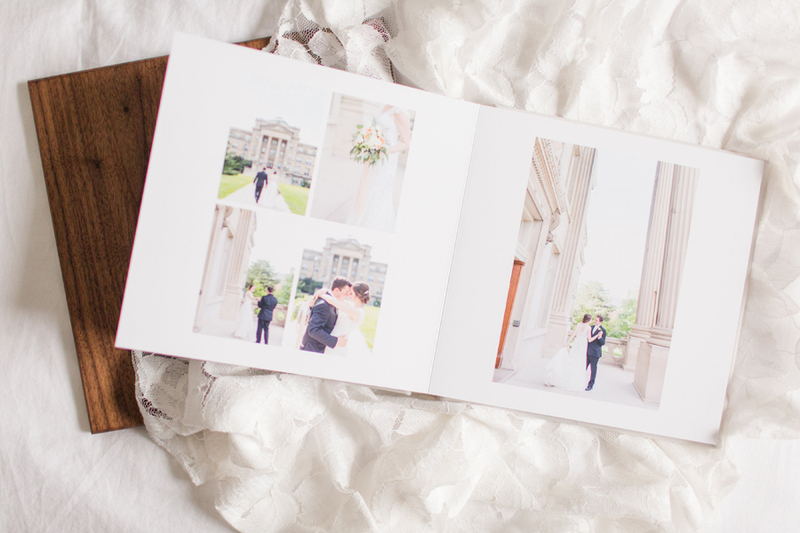 Elizabeth prints all of her wedding albums through RedTree because she loves the quality of their gorgeous books. 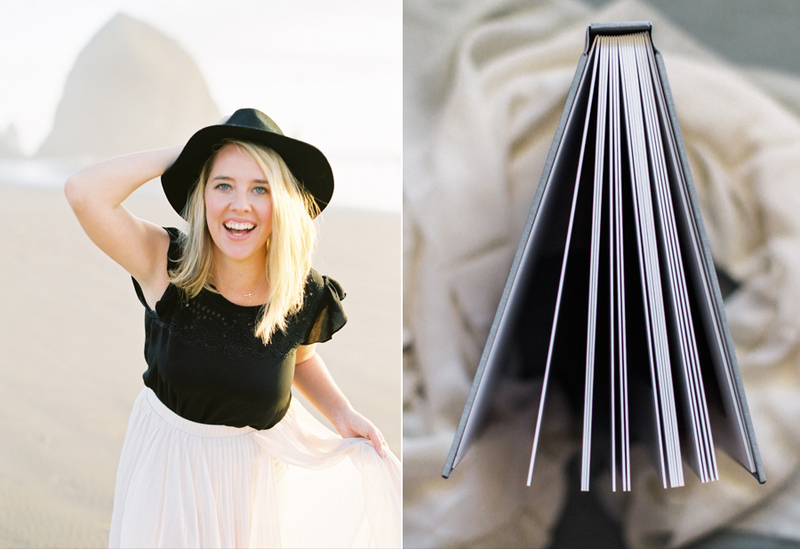 For portrait sessions and parent albums, she uses the photo books from Miller Professional Imaging. P.S. Both of these album printing & binding companies are included on Align's list of Top 10 Most Popular Album Companies. 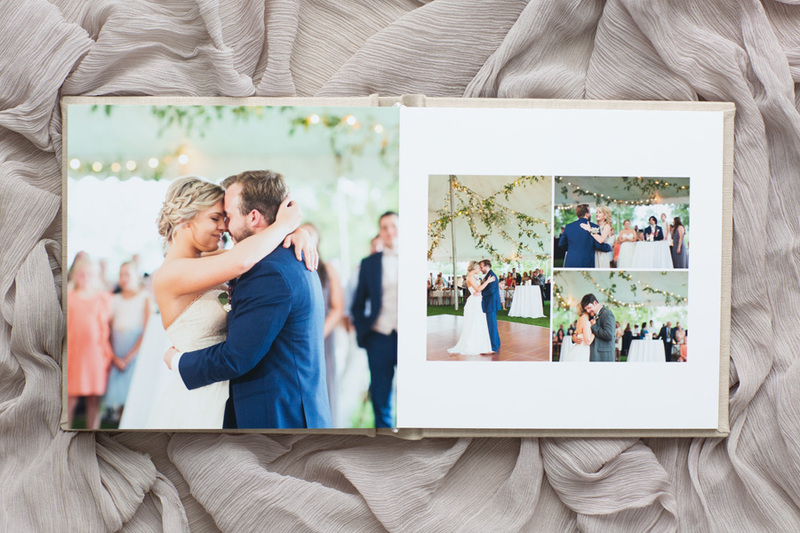 Check out these beautiful photos of one of Elizabeth's finished albums! 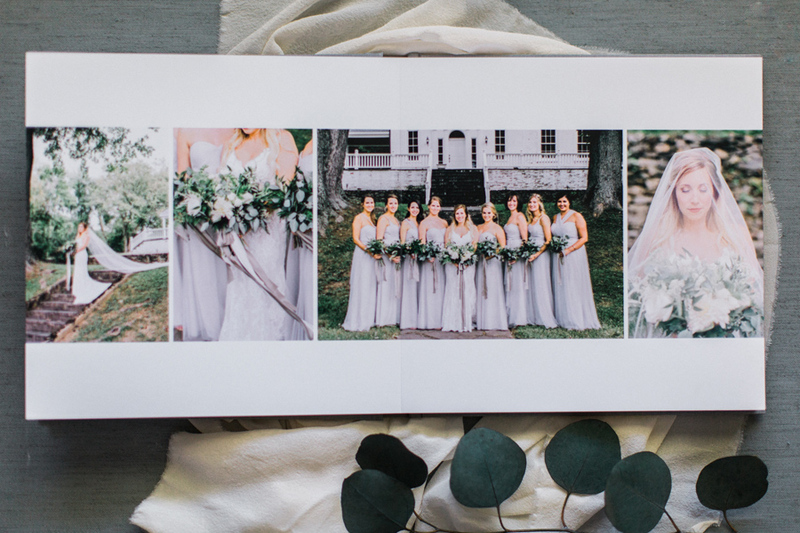 To see this album design in its entirety, click through the slideshow below! 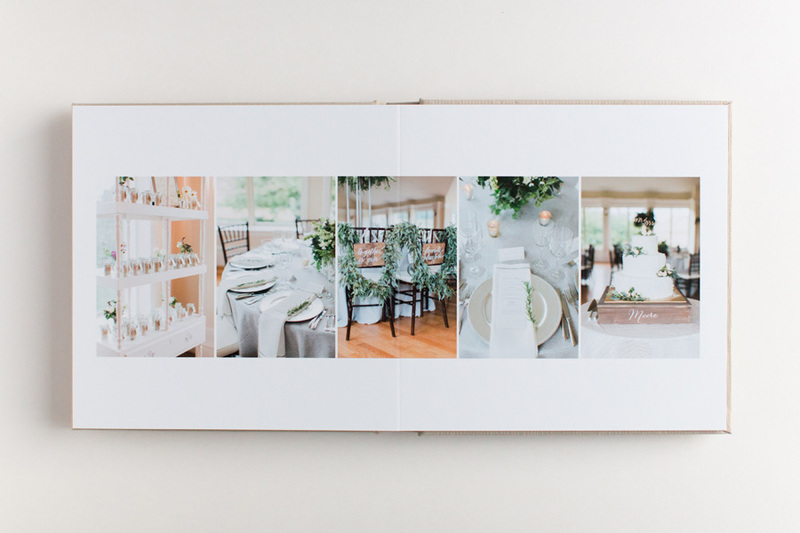 And for more album goodness from Elizabeth, check out this post: Grand Hotel Wedding Album Design for Elizabeth Gelineau Photography. Hey guys! Melissa Jill here, owner of Align. I am going to go out on a limb and say that if you are finding yourself reading this blog, you have reached the juncture in your business where you offer albums or are highly considering it. Such a wise move! Offering this service will be sure to increase your value as a photographer if you are committed to doing it well. If you've been doing this for a while, you've probably gotten really comfortable with sharing your passion for albums with every client you work with. You've mastered the art of a speedy workflow and effective client communication. You might be considering, perhaps even taken the leap, to outsourcing the design work in order to free up your time for other important endeavors. 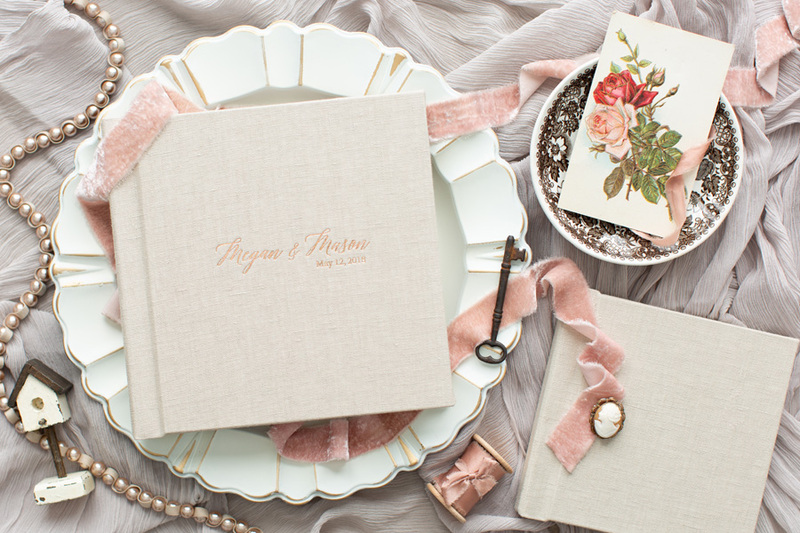 All of which has brought you to the point of holding some incredibly beautiful wedding albums in your hands! Yay! So, now what? You want to think of all the different ways you can get clients familiar with the idea of albums and how valuable they are, right? 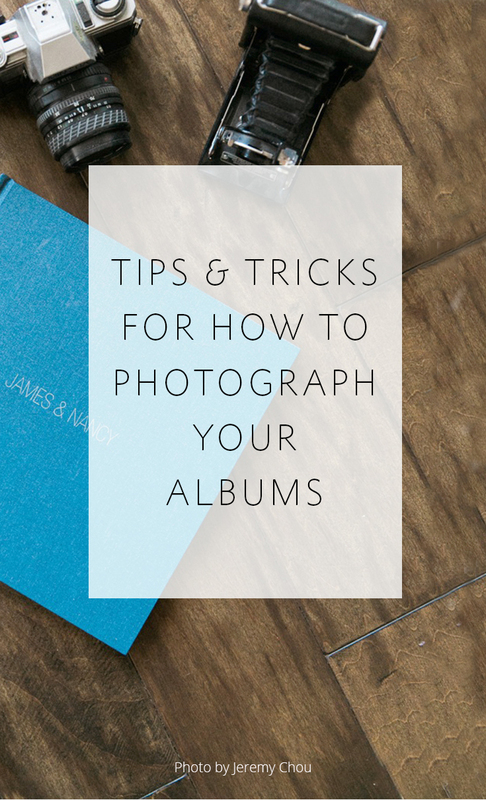 One way to do this is to photograph the albums your clients purchase and share them on your blog and social media platforms. But how does one photograph an album in a way that amplifies its beauty and showcases just how valuable it is? Where do you begin with such an undertaking? You have come to the right place, friends! There are a few different things to consider when approaching the task of photographing albums. First, as a photographer myself, I know your time is limited and valuable. Photographing albums, while worthwhile and beneficial, is not something that should take up a ton of your time. In an effort to demystify the process of photographing albums, I am excited to share a short video that Abby Grace was kind enough to create for us on her album photographing strategy. It is both simple and efficient. Two things every photographer could use more of, am I right? 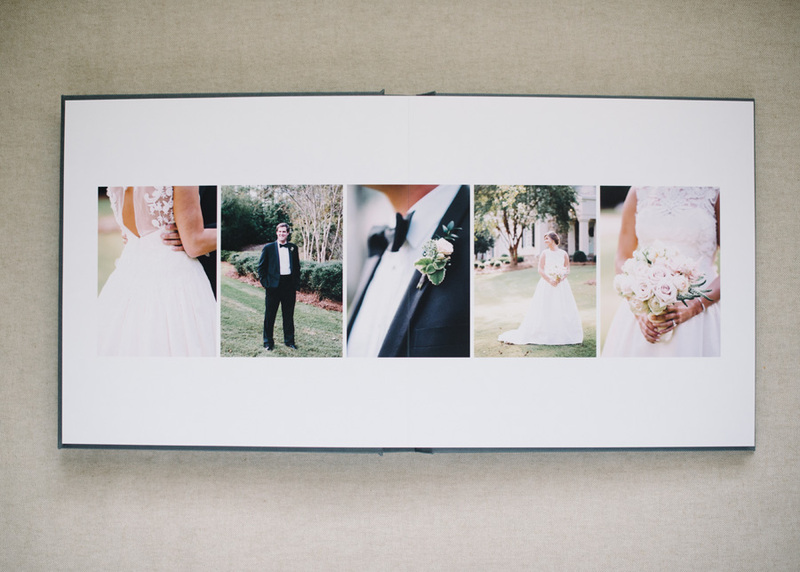 We LOVE how Abby has systematized the process of photographing each of her client albums! How simple and efficient is this? 1 -- Set up your tripod with camera pointed straight down at a 90 degree angle. Make sure you are in an area with plenty of natural light! 2 -- Create a make-shift reflector. Use 3 white foam poster boards taped together to make a 3/4 reflector. This helps to lessen those pesky shadows on images. 3 -- Place a cheap, flimsy white poster board directly underneath the camera and lay the album on top of it for a clean backdrop. 4 -- Put your camera on "live preview" mode to make sure everything is lined up evenly and completely flat. This will minimize the post-production cropping/editing. 5 -- Once everything is nailed into focus, turn the camera to manual focus to take the first photo. Without moving the camera at all, turn the page and take the next photo. Move through the entire album this way. Since everything is composed exactly the same way, you can batch the images and apply edits to the entire batch. Everything is super automated and easy with this system, which makes it possible for you to shoot 3-4 albums within 20 minutes! You can see just how clean and lovely the outcome of this process is by visiting some of Abby's finished work that we've featured here on our blog in the past! 1 -- Use a textured background to add depth and character to the image. An album placed upon something that has its own shadows and light can really enhance the beauty and simplicity of the album. Some great materials to utilize are wood, tulle or textured fabric. 2 -- Try posing the album! Photograph the details at different angles. Take some shots of the album standing up, where the pages are showcased. Take some close ups of the cover, and the fine details of various pages. Get creative with perspectives! Sometimes just showing portions of the spreads along with a textured background creates a strong, appealing image. 3 -- Add props to make it more interesting. Try setting up the album within the box it came in, along with some tissue paper and ribbon. Some other ideas would be to use cover fabric swatches, flowers, leaves, pine cones, etc. 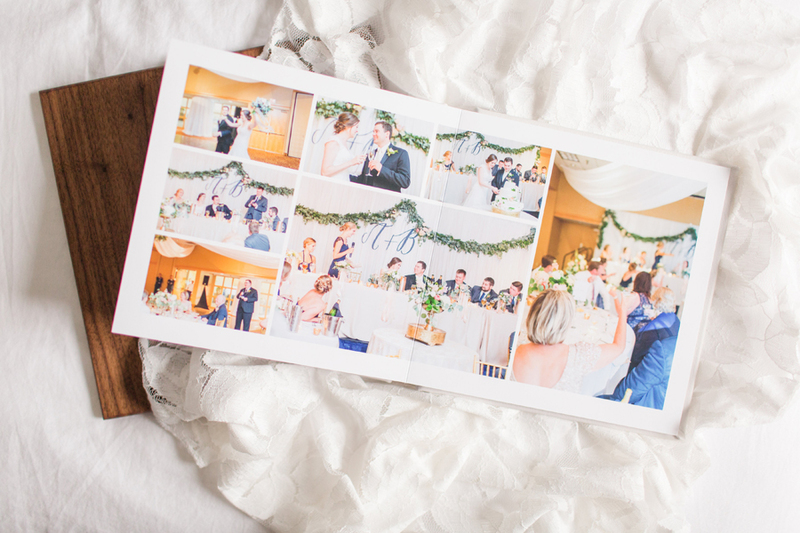 Using an actual detail from the wedding is also a way to help tell the story held within the pages of the album. 4 -- Photograph the album fulfilling its purpose. Which means, take pictures of someone sitting down with the album and pouring over the pages. You can add texture with a blanket or some kind of fabric within the shot. This not only adds depth and dimension to the image but also personalizes it and invites the viewer to imagine themselves cozied up with their very own album, soaking in the memories they will treasure for life! 5 -- Use blank space and the rule of thirds. The album doesn't need to be centered perfectly and doesn't need much more than it's own beautiful face! Try holding the album up against a white wall where you include the hands of a nearby willing person as props! This creates a very clean and simple image, where the album is the star of the show and the minimalistic approach is appealing. Photographing albums doesn't have to be an overwhelming or time consuming task. In fact, with a little bit of intention and creative thought, it can be kind of fun! Plus, the benefits of featuring a gorgeous album in a truly appealing way can be enormous! 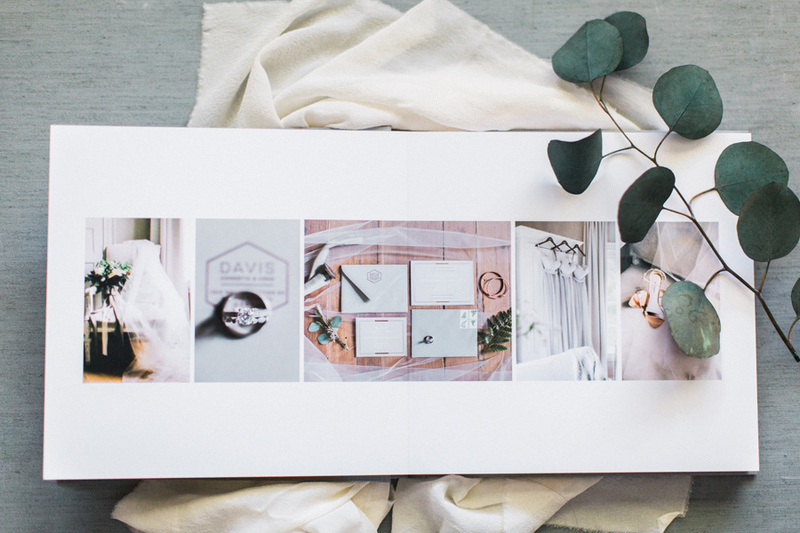 Just like sharing sample albums with our clients during an initial client meeting, consistently sharing each clients' album through visually stunning images can be so helpful for getting clients to value them as much as we do! If you found this post helpful and would like to receive tips like these straight to your inbox, click here to sign up! Today we're pleased to introduce you to the lovely Nikki Santerre, Virginia-based fine art film photographer and Align client. 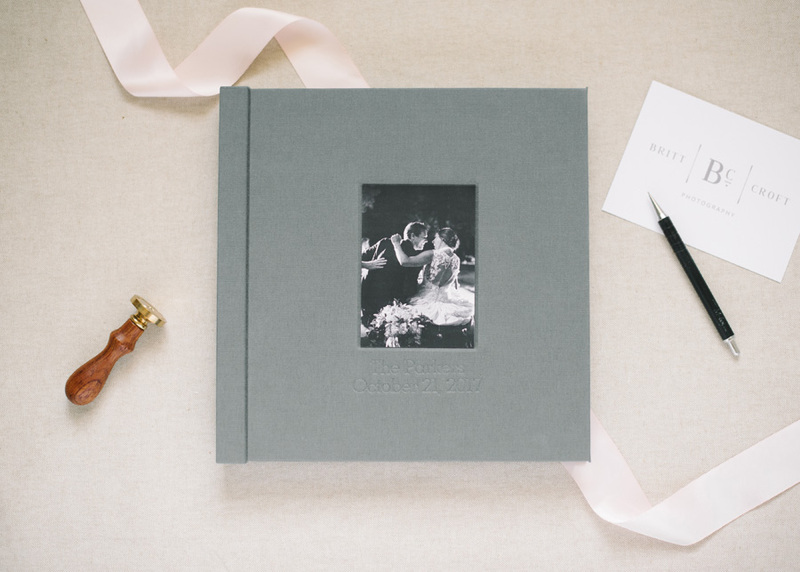 We recently asked her if she'd be willing to share her thoughts on her journey into heirloom albums and we're thrilled that she agreed! We thought her insights into the role of the sample album within her business were especially helpful. So without further ado, this is Nikki! Hi guys, Nikki Santerre here. 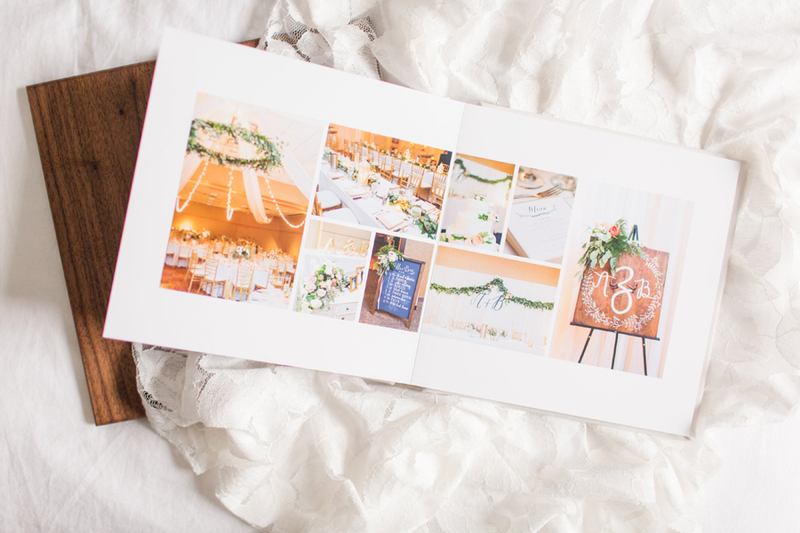 If you're a photographer who wants to start offering albums but is overwhelmed with how to start, I'd have to say that there is something truly magical about seeing your work printed within the pages of a quality product. My recommendation to you is to invest in your business and yourself by getting a sample album before you begin to offer them to your clients. That was the gateway drug for me. Once I saw what my work was capable of becoming within those pages, I knew it was a service I must provide to my clients. It speaks volumes to your work, more-so than any squares on social media. 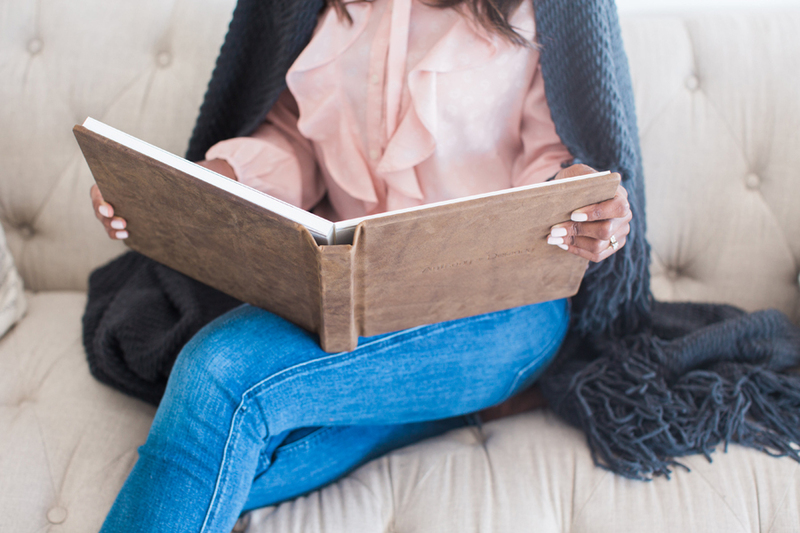 A little bit about me -- I am a self proclaimed "Heirloom Curator" who specializes in marriage and motherhood and uses both film and digital mediums to document my clients in their most precious seasons of life. 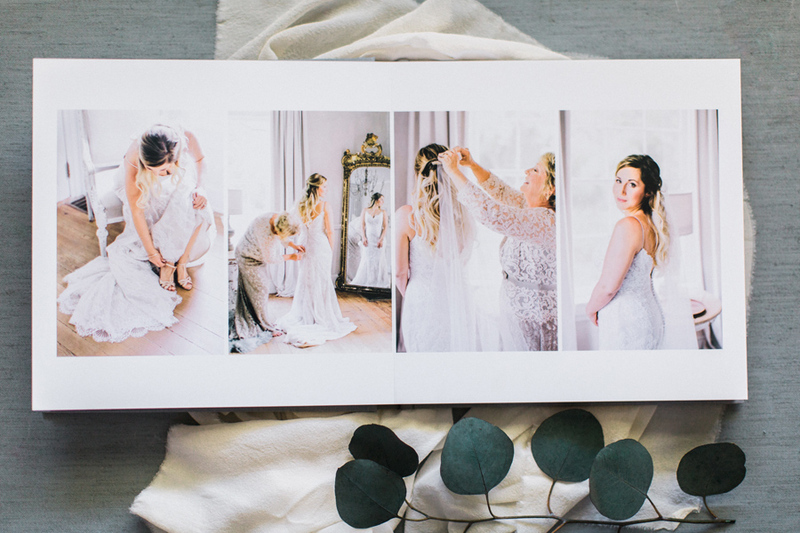 When my clients book me for wedding day services, I send them a Welcome Kit that contains a bridal guide which highlights the most important details of their photography experience from start to finish. There is an entire section devoted to albums where I reiterate the importance of the album as an heirloom, not just for themselves, but for future generations. As I've priced myself into a higher-end market, my clients have become increasingly eager to invest in an heirloom album. I think my brides who are more inclined to invest in their wedding photography view the album as an important tangible result of their investment over and above the digital files alone. One of my biggest struggles when I first started offering albums was the TIME it took to create the design. In my first three years in business, I was a full time teacher, so time was a precious and limited resource. Enter Align! Outsourcing this portion of my business remains one of my smartest business decisions to date, especially now that I'm a mother. The time I would be spending designing albums I now spend doing things that fill me with more joy, like time with my family or writing for some of my favorite publications. When it comes to printing, I had been using the same album printer for the last three years. They offered a product I found to be both beautiful and valuable. Unfortunately, the company closed their doors (with VERY little notice to their customers) earlier this year. 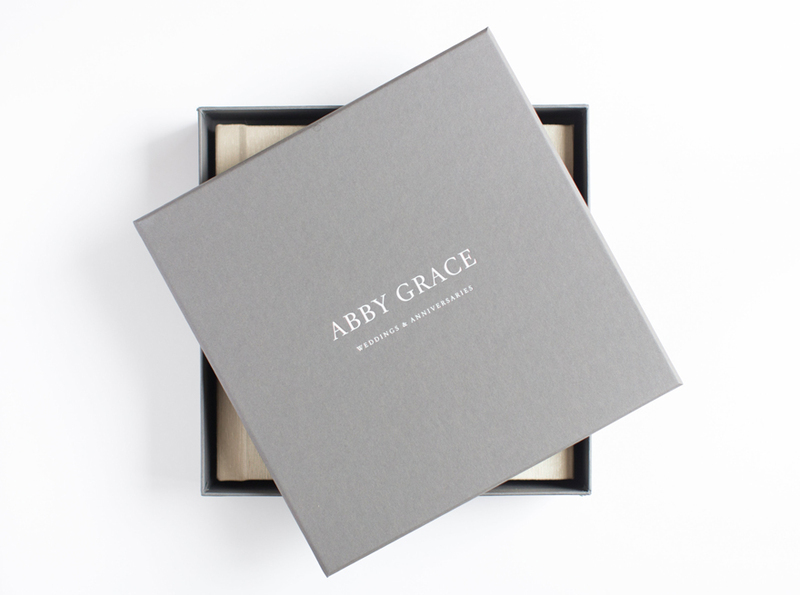 I was forced, very suddenly and at the start of wedding season, to find a company who also produced an equally beautiful product. Almost serendipitously, around the same time I received an email from Align saying they were going to begin printing albums. Alas, Align to the rescue, AGAIN! Wow, Nikki, thank you so much for sharing your insight and album experience with your fellow photographers! You're amazing! And a BONUS thank you for sending us photographs of one of your recent Align Legacy Books! Our heart skipped a beat when we saw them! For more photos of Align Legacy Books, check out the Align Legacy Books category on this blog. Earlier this week we featured Val Marlene Creative in a blog post in which she shares about her "why" behind offering albums to her clients. If you haven't read it yet, you've GOT to check it out. 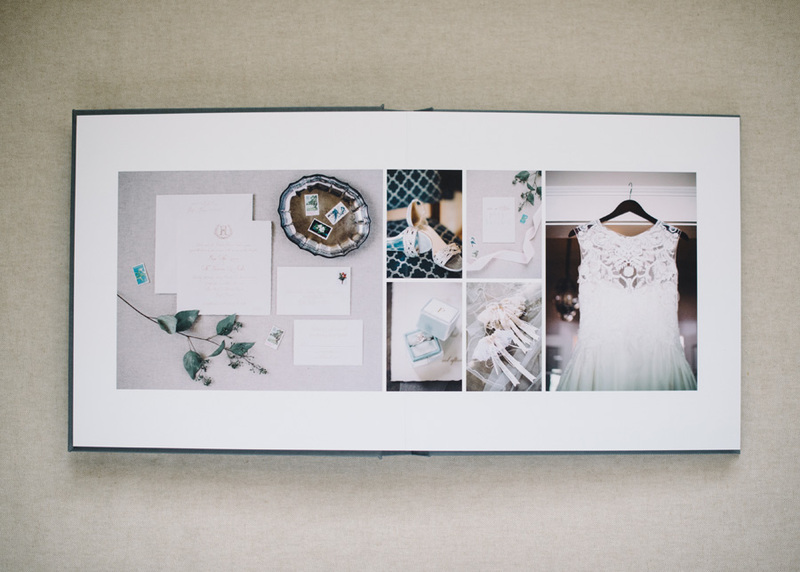 But not only did Val send us that amazing written content, but she also went above and beyond and sent us photos of one of her real clients opening up their wedding album for the first time. That was too much goodness for one blog post, so today we get to share these awesome images! Val says, "It should be noted that the images of them opening their album are 100% not staged. Every facial expression, finger point and look at each other was not prompted and true to Ben & Allison. This is the very first time they saw their album. :) :) It was such a sweet experience for me to watch them snuggle and giggle as they held their album in their hands for the very first time. They told stories of what was happening in the photos and the memories the images triggered from that day." Val says "This image, specifically, is Ben asking Allison if she was tearing up, because she was. Gah, it was such a sweet, sweet moment for me!" 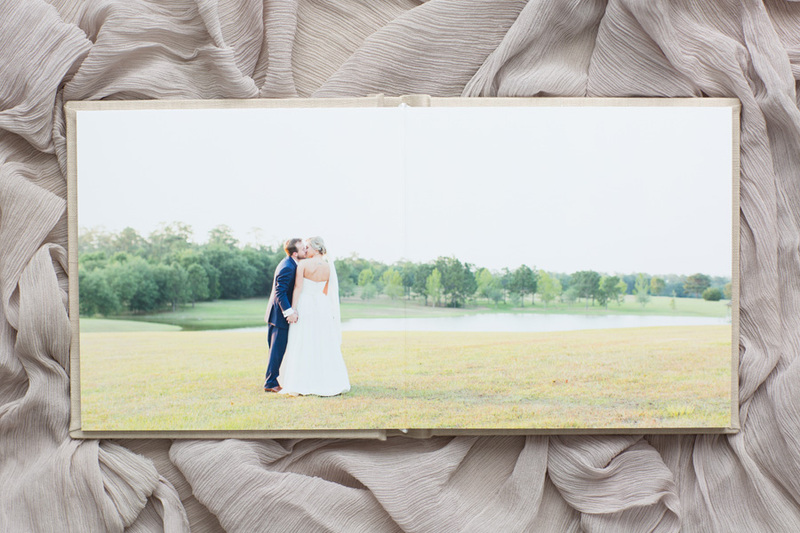 Allison, the bride, said "We are thrilled with the way our album turned out! Seeing it on our bookshelf everyday is a beautiful reminder of where our love story started. We feel we made a great, small investment into what will be a treasured piece we can pass on to our kids and their kids."